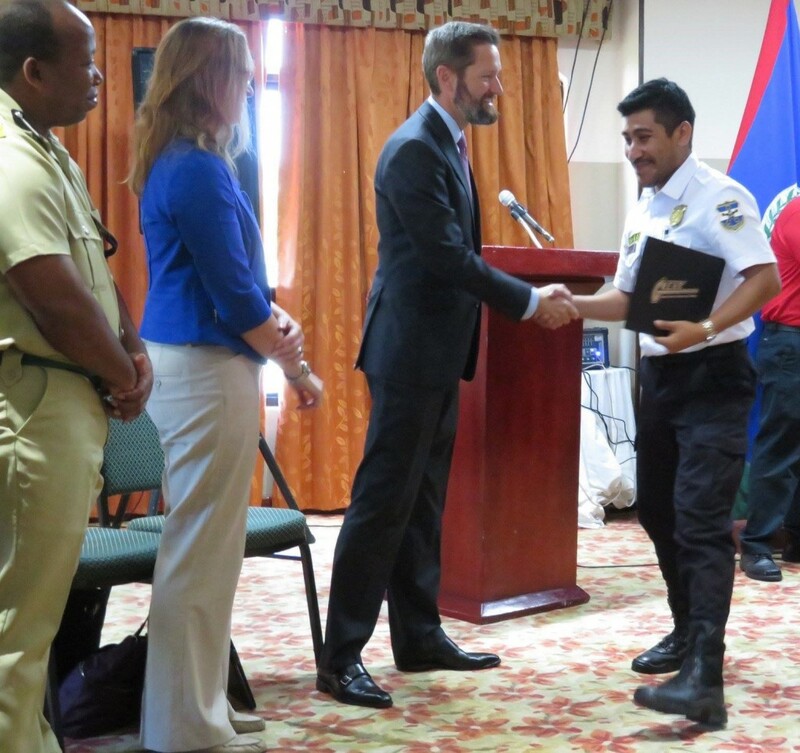 38 police officers – 23 from Belize and 15 from El Salvador – became new Gang Resistance Education and Training (G.R.E.A.T.) Instructors. The G.R.E.A.T. 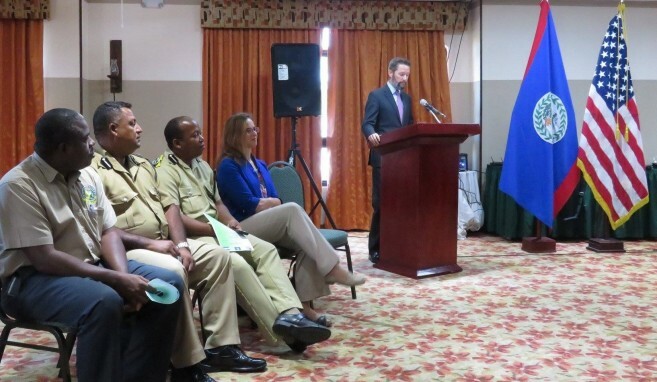 program is one of the many tools the United States is supporting in Belize, and the Central American region, to improve citizen security, decrease impunity, and prevent crime. U.S. Chargé d’Affaires, a.i. Keith Gilges commended the new instructors, stating “You are taking on an incredibly important role as educators and mentors. To break the cycle of crime, there is no substitute for reaching children before they are lured into a gang or tempted by some other dangerous activity.” He also underscored the U.S. Embassy’s partnership with the Belize Police Department and other organizations that seek to prevent youth from joining gangs. Deputy Commissioner of Police Chester Williams also attended the ceremony. The eight-day G.R.E.A.T. 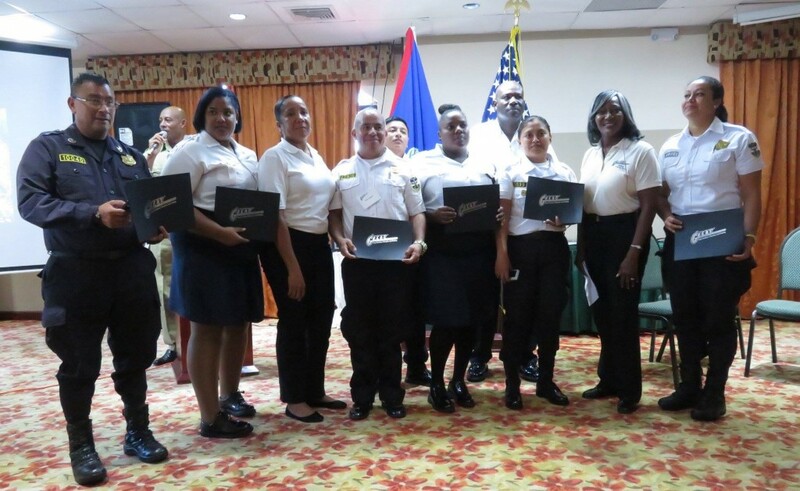 instructor training was supported by the U.S. Embassy’s International Narcotics and Law Enforcement Affairs program and was taught by three trainers from the G.R.E.A.T. 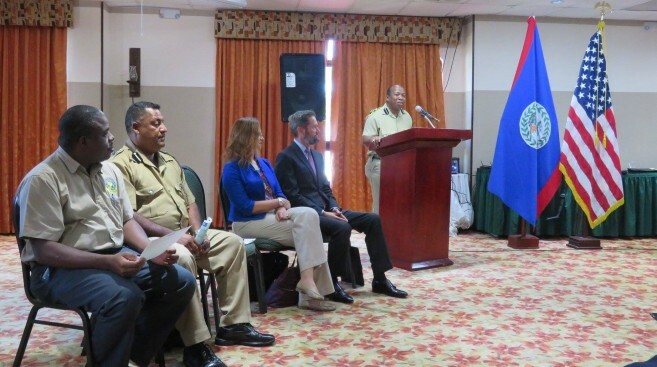 National Program in the United States, and five trainers from the Belize Police Department. The G.R.E.A.T. program seeks to assist youth to identify gang recruitment and avoid gang membership, prevent violence and criminal activity, and develop a positive relationship between young people and law enforcement. The program uses a skills-based approach that draws on cognitive, behavioral, and affective learning. The G.R.E.A.T. program uses only sworn law enforcement officers as trainers to begin that relationship building process, provide the students with positive role models, and to capitalize on the officers’ experience in dealing with criminal behavior and its ramifications, as well as their ability to recognize gang members and recruitment methods. To date, a total of 219 police officers have been trained as G.R.E.A.T. Instructors and, most importantly 17,668 children have completed the program in Belize.